Back in April David Ayer uploaded the first cast photo for Suicide Squad on Twitter. The photo had cast members that were already announced like Margot Robbie, Will Smith, Viola Davis, Cara Delevigne, Jai Courtney, Joel Kinnaman, Jay Hernandez, Karen Fukahara and Adwale Akinnuoye-Agbaje. Noticibly absent from the photo was Jared Leto, but to make up for his presence was a few surprises. Adam Beach, Ike Barinholts and Jim Parrack were all in attendance, but before this the public had no idea they were involved in the film. Moments after the picture was uploaded rumors began to ensue on who these actors could be playing. Parrack was rumored for DeathStroke and Johnny Frost, Beach was rumored for Ravan and Slipknot(Who he is now confirmed to play) and Barinholtz was rumored to play Dr. Hugo Strange. Speculation continued once the Suicide Squad trailer was released. In the trailer you see Parrack as an armed henchman of The Joker and Barinholtz can be seen as a prison guard. Now Batman News has a possible confirmation on who Jim Parrack could be playing. 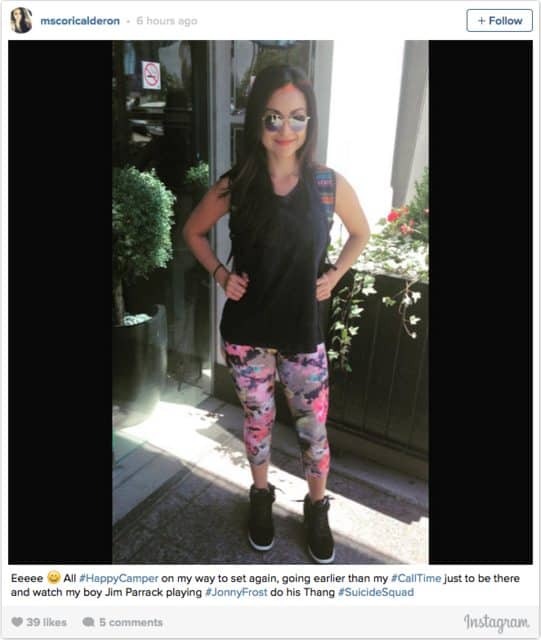 Batman News stumbled upon a now deleted Instagram post from Corina Calderon who has a small role in Suicide Squad. The photo shown below has an interesting caption regarding Parrack’s character. Given the fact that the photo is now deleted this could confirm that Parrack is indeed playing Johnny Frost. This kind of gives me a sigh of relief as I could not see him playing Slade Wilson/Deathstroke. It also adds more fuel to the fire that Scott Eastwood could potentially be playing Deathstroke or it could mean that Deathstroke isn’t in the movie at all. 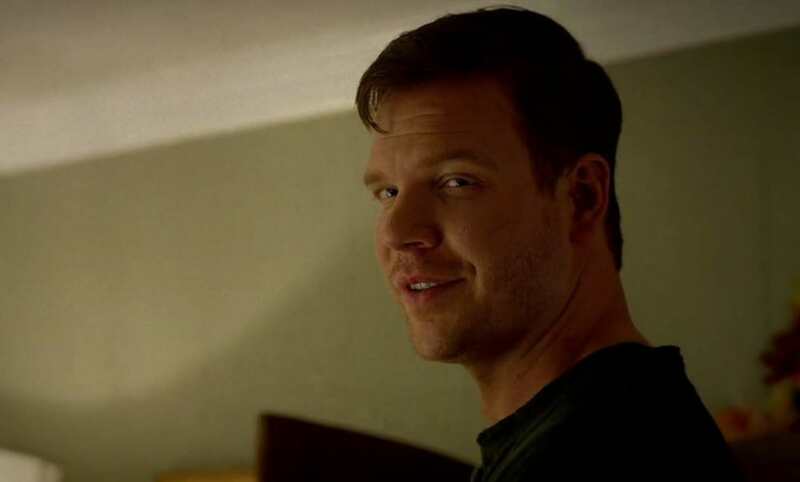 What do you guys think of Parrack being The Jokers hired thug Johnny Frost? Do you think he could have made a better Deathstroke? Sound off in the comments below. Suicide Squad hits theaters August 5, 2016!